Exerpeutic 900 xl vs. 1000 – Which Is The Best For You? POSTS Exerpeutic 900 xl vs. 1000 – Which Is The Best For You? There are two types of exercise bike, the recumbent and the standard. Both are excellent for building leg and core strength. But if you have a bad lower back or degenerative disc disease then the recumbent is the one you want. But which exact model? When looking at the Exerpeutic 900 xl vs. 1000 I can confidently recommend the 900 xl. It offers almost the same features as the 1000 but comes at a slightly lower price. This makes it a winner in my book. I should point out that I suffered from a bad back for several years. It was during this period that I first tried the recumbent exercise bike; the elliptical trainer was just too painful. I was fortunate enough to be able to try both these machines. They are both comfortable and easy to use. The 900 xl Recumbent Bike is simply a better price making it the better option for anyone starting exercise for the first time or if you’ve been exercising for a while. Let’s take a look at the detail of both machines and discover why the 900 wins in a battle of Exerpeutic 900 xl vs. 1000. This is a budget range exercise bike but it doesn’t feel like it! You may not find a huge number of gadgets attached to it but the build quality is great and it is exceptionally easy to use. The 900 xl has an oversized padded seat and back rest. This combines perfectly with the step through design and stabilizers to ensure that you can get comfortable and start exercising with the minimal of fuss. You’ll also be pleased to note that there are large pedals with straps to ensure your feet remain in the right place while completing your workout. But the design goes one stage further. The machine weighs just 63 pounds and has specifically designed wheels which will ensure you can move it round your house as needed. Although the footprint of the machine is not huge this does make it possible to move it out of the way when not in use. The wheels lock into place to ensure the bike doesn’t move when you’re exercising. Paradigm Health & Wellness manufacture a huge range of fitness products. They have earned an excellent reputation for building quality products. This is reflected in the 3 year warranty on the frame and the 90 day warranty on parts. The precision balanced flywheel, V-belt drive and a well designed smooth torque system ensure that the bike is smooth and responsive at all speeds and resistance levels. The weight of the bike may only be 63lbs but it can handle people up to 300lbs; that shows just how well it has been made! The seat also adjusts allowing all the different members of your family to use it comfortably. There aren’t a ton of extra gadgets on this bike but there is heart rate monitors built into the grips which will help you to track your heart. This can help to ensure you are working out at the right level for your desired results. The computer screen runs on batteries. This means you will be able to position the bike anywhere in your home. As mentioned the Exerpeutic 900 xl has a heart rate monitor built into the grips. This allows you to track your heart rate at any time during your workout via the information on the screen. 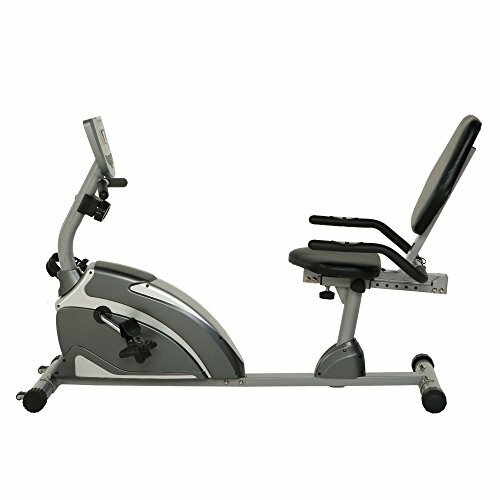 The Exerpeutic 900 xl Recumbent Bike doesn’t come with a chest monitor or even the ability to add one. However, this seems fairly unnecessary in this product as your hands will spend the majority of their time on the grips. There are just 8 resistance settings. This is reasonable for someone new to exercise but you will quickly exhaust these settings and find it difficult to establish the right resistance for your workout. It is also worth noting that the resistance is not easy to adjust while you exercise as there is only a manual control. While this is normal on a bike of this price range it would be nice to see this adjustable while you ride. Some people have complained that the instructions are not easy to follow and it has taken them in excess of 2 hours to get the bike put together and ready for use. It is worth noting that the initial version of this bike had a few issues with squeaks while being used. These appear to have been resolved but it is worth buying the 900 xl Recumbent Bike from a reputable dealer. This will ensure that you have someone you can talk to if there are any issues. It is disappointing but not surprising to note that it is not possible to record your results or link to a fitness app. While it is not essential it is useful to be able to monitor your results and try to improve on them. This is a very similar bike to the 900 xl. In fact the chassis is the same with a few adjustments to ensure the 1000 Recumbent Bike is the bigger brother of the 900 xl. There are a number of advantages to this bike. The fact that they are very similar to the 900 xl demonstrates the similarities between the machines and why the 900 wins in the Exerpeutic 900 xl vs. 1000. Just like the 900 xl this machine has a padded oversized seat and back rest. You’ll definitely be comfortable after having adjusted it to suit your height. The well balanced precision flywheel and V-belt work together to ensure a smooth and quiet ride. The resistance operates via a magnet to provide a good range of operation. The machine even has leg stabilizers and wheels to ensure you can easily move it round your home. This will ensure it never gets in the way! Just like the 900 xl this recumbent comes with a 3 year warranty on the frame and 1 year on parts. It is exceptionally well built and designed to accommodate weights up to 300 pounds. The step through design will allow you to get on and off the bike quickly and easily even if you are experiencing pain in your back. The main functions of the computer are to monitor your heart rate, distance, calories burned, time spent and speed. This is enough to keep you informed; you can easily scroll through the display with the up or down buttons underneath the screen. Just like the 900 xl this screen runs on batteries which allow you to position the bike anywhere. There are just 8 resistance levels on this machine. This is not going to be enough to really challenge you and you may even find it difficult to get the machine just right for your needs. 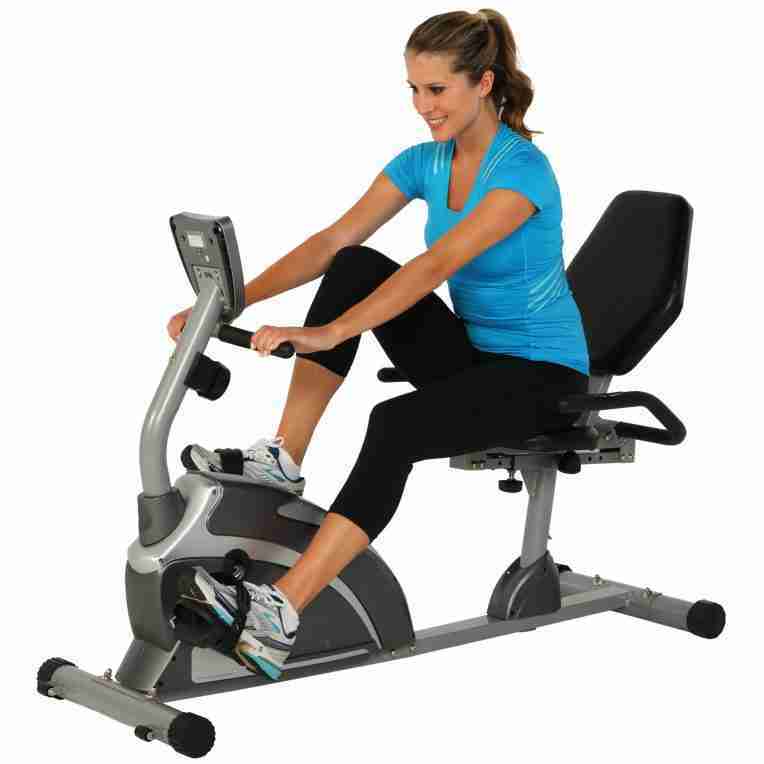 You must adjust the resistance manually which is inconvenient when in the middle of exercising. This is disappointing as the machine has so much potential. Just a little extra resistance would ensure a better work out even if the cost was slightly higher. It should take you approximately 1 – 2 hours to put the machine together with the instructions. However, there have been reports of people struggling to complete it within this time scale as small steps are missed which make a fundamental difference to the successful completion of your new recumbent bike. It is essential to allow yourself plenty of time to ensure the construction process is straightforward. Again the 1000 copies the 900 xl. There is no ability to connect this to a fitness app or even record your results. This makes it difficult to successfully track and improve on your results. You simply can’t record all the information as you exercise! The bottom line is that these machines are incredibly similar but the price of the 1000 is higher than the 900 xl. This leaves little doubt in my mind that the machines are both excellent but in a competition of the Exerpeutic 900 xl vs. 1000 you need to choose the 900 xl. Both of these are reasonably priced and more affordable than a year at the gym. 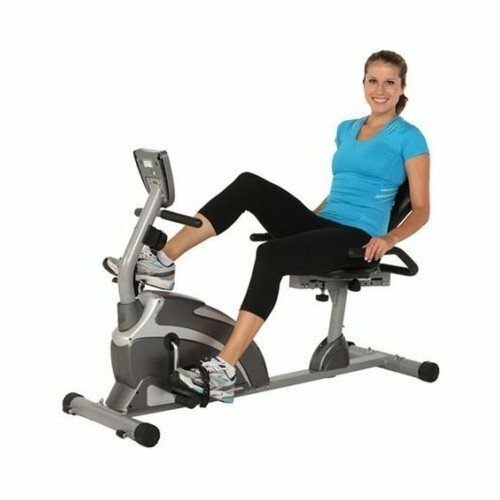 Of course, the gym has far more machines which may be beneficial but there is a huge convenience in having a recumbent exercise bike at home.